Jacqueline Woodson has said that Another Brooklyn, although a fictional story of four girls growing up in the 1960s and 70s, is at its heart a biography of her neighborhood—Bushwick. Having moved there from Greenville, North Carolina as a child, she describes the neighborhood of her youth as "very alive. It was—my memory of it was this beautiful, kind of heartfelt vibrancy of a place." Like Brooklyn, Philly is a city of vibrant, diverse neighborhoods. 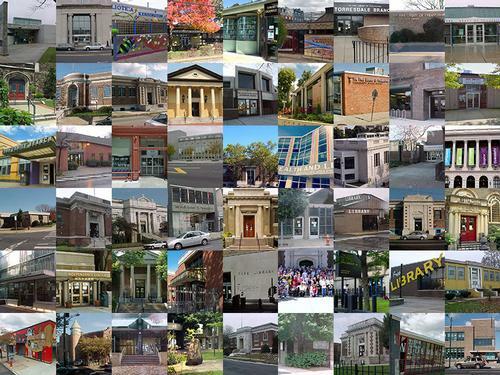 Libraries often sit at the heart of these neighborhoods—with 54 library locations across the city, nearly every Philadelphian lives within two miles of a neighborhood library. In the spirit of Jacqueline Woodson and this year’s One Book, One Philadelphia featured selection Another Brooklyn, we asked some of our dedicated librarians to tell us about the neighborhoods and communities they serve every day. "This is a working class, tight-knit family neighborhood filled with many trying to make ends meet, immigrants from many cultures learning English, young hipsters with growing families, and those struggling with drug addiction. There are also folks holding strong traditional religious values emanating from every corner of the globe. Interestingly, the neighborhood is generally more politically conservative than Philadelphia as a whole. Also, food in Philadelphia! If you take a pre-dinnertime walk around the block, one can smell classic Italian, Mexican, French, and Asian dishes wafting through the streets." "I’ll run into the PSFS Bank, stop at Horn and Hardarts for lunch, buy some dessert for dinner at Hansom Bakery, pick up some cereal at Penn Fruit Grocery Store, buy some socks at Woolworth Five and Dime, and top off the day by catching a matinee at one of the five movie theaters along 52nd street. Forty years ago, that might very well have been the way you spent a day on 52nd Street as you traveled the stretch of blocks between Arch Street and Baltimore Avenue in West Philadelphia. Affectionately known as the 'Strip' in that bygone era, the iconic establishments that once inhabited the 52nd Street corridor are gone now, residing only in the memories of those old enough to have nostalgic recollections from that period. These days, walk along that same 52nd Street commercial corridor in the heart of West Philadelphia and you are immediately hit with the vibrant tapestry of present day sights, sounds, and smells that awaken the senses. There are eateries selling tasty American, West Indian, African, and Asian dishes, the smells of which waft through the air on a clear spring day. There are colorful garments for sale hanging from the stalls and window grills of various vendors and stores. A person in need of dental work or eyeglasses need only walk a few blocks along 52nd Street to receive the necessary service. And what better way to recover from medical attention than to visit the local art gallery on the Strip. On hot summer evenings, people from the surrounding neighborhood congregate in Malcolm X Park to listen and dance to Oldies Night or snap their fingers to some cool jazz sounds on Jazz Nights. You can find it all on 52nd Street—even an active radio station! The residential neighborhood surrounding 52nd Street is diverse and ever-changing. It is comprised of various ethnicities, longtime residents, new inhabitants, and blue and white collar workers. Nestled in the center of this busy, bustling community is the Lucien E. Blackwell West Philadelphia Regional Library—a focal point and gathering spot for people in the immediate community and well beyond." "McPherson Square Library is located near the famous intersection K & A. That is K for Kensington and A for Allegheny. But if you were a native of this area you would never call Kensington Avenue anything but 'The Ave.' While there is no denying that being at the epicenter of the city’s opioid epidemic presents huge hurdles for this neighborhood, there is still a strong community spirit. This is the kind of area where everybody knows everybody else. There are extended families that have lived here for decades. This is a rainbow neighborhood, with a diverse population of Hispanic, African American, and Caucasian residents. The library and surrounding park are the heart of the neighborhood. The park features a playground provided by the Flyers hockey team and is the location for community events, such as festivals, music events, a Halloween parade, and more. Sadly, it is also the favorite destination for out-of-town heroin users. The tension between residents and 'heroin tourists' is an ongoing problem. There are some wonderful volunteers here trying to make life better. Elisa and her helpers plan events in the park for children and the community. Ted picks up the needles that users leave in the park. Maria and her cousin Carmen cook meals for the homeless. This is a neighborhood with many struggles, but with a spirit that is fighting back." These librarians see the good and the bad, the dejected and the uplifted, the historic and the changing of their unique neighborhoods. Having mostly seen stories of her own neighborhood on the news, Woodson has said, "Our stories have been told by outsiders, and what they saw were junkies or addicts or crime. They saw pathology." Much the same could be said of many of Philadelphia’s neighborhoods. But her sense of her family’s pocket of Brooklyn was that "this was a neighborhood of strivers who were trying to make their way. I knew these people, and they had decency and strength and majesty. They were troubled, definitely, like all people. … [but] people who are living in economic struggle are more than their circumstances. They’re majestic and creative and beautiful." With Another Brooklyn, she said, "I wanted to take readers inside the joy of Double Dutch, running through the spray of a fire hydrant, or bringing out a grill to barbecue. In response to the outsider gaze, I wanted to show a place of love, where queer people and people of color had their joys. It’s time we started taking up space inside our own narratives." Thank you to the Free Library’s dedicated librarians for doing the same right here at home. 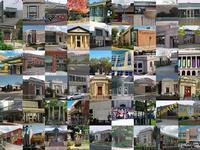 The Free Library has 54 neighborhood libraries spanning the whole city, each part of a vibrant community.